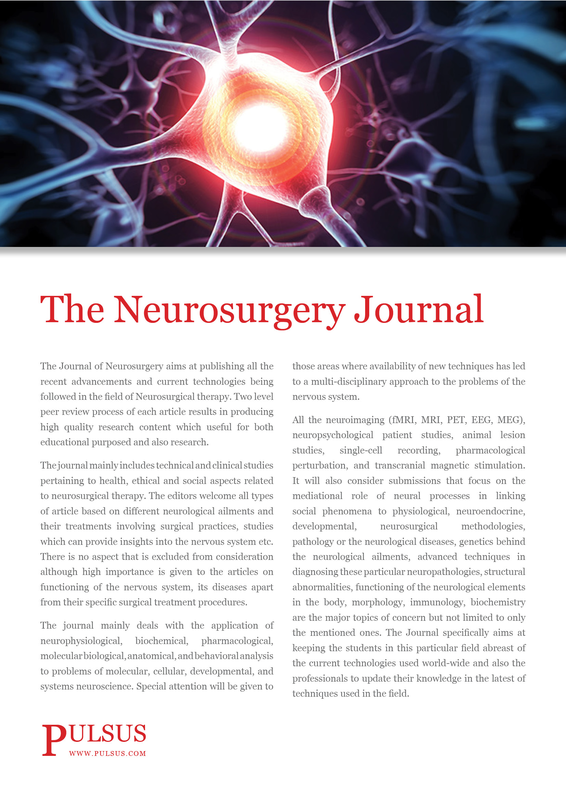 The journal mainly includes technical and clinical studies pertaining to health, ethical and social aspects related to neurosurgical therapy. The editors welcome all types of article based on different neurological ailments and their treatments involving surgical practices, studies which can provide insights into the nervous system etc. There is no aspect that is excluded from consideration although high importance is given to the articles on functioning of the nervous system, its diseases apart from their specific surgical treatment procedures. The journal mainly deals with the application of neurophysiological, biochemical, pharmacological, molecular biological, anatomical, and behavioral analysis to problems of molecular, cellular, developmental, and systems neuroscience. Special attention will be given to those areas where availability of new techniques has led to a multi-disciplinary approach to the problems of the nervous system. It will consider submissions that focus on the mediational role of neural processes in linking social phenomena to physiological, neuroendocrine, developmental, neurosurgical methodologies, pathology or the neurological diseases, genetics behind the neurological ailments, advanced techniques in diagnosing these particular neuropathologies, structural abnormalities, functioning of the neurological elements in the body, morphology, immunology, biochemistry with all the neuroimaging (fMRI, MRI, PET, EEG, MEG), neuropsychological patient studies, animal lesion studies, single-cell recording, pharmacological perturbation, and transcranial magnetic stimulation. The mentioned are the major topics of concern but not limited. The Journal specifically aims at keeping the students in this particular field abreast of the current technologies used world-wide and also the professionals to update their knowledge in the latest of techniques used in the field.